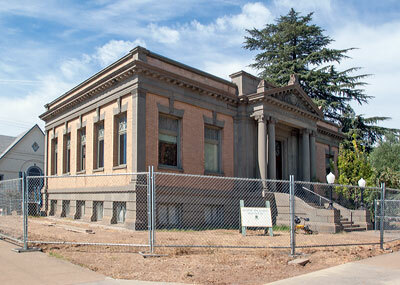 The Herbert Kraft Memorial Free Library was the first public library in Tehama County. Designed by architect, Franklin Pierce Burnham, the Kraft Free Library is probably the most significant Classical Revival building in Tehama County. Burnham designed many public libraries in California. His Kraft Free Library exemplifies the design philosophy of small town libraries in the early in the early 20th century. 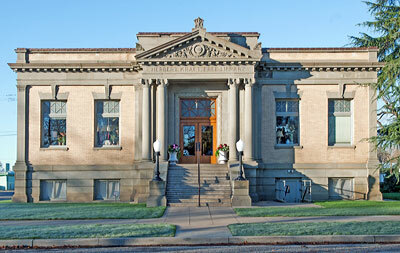 Built as a memorial to Herbert Kraft, an influential early resident of Tehama County, the library become important to the community as a regional center for education and community interaction until its closure in 1982. Adapted from the NRHP nomination dated 26 August 1999. In May 2013, the property was listed for sale with an asking price of $695,000.